Rooted deeply in history, Sudbury is known for Longfellow's Inn, including The Redstone Schoolhouse where Mary brought her little lamb, the Grist Mill and the Martha Mary Chapel. The town is also noted for its excellent domestic underground water supply, excellent schools and well managed government. 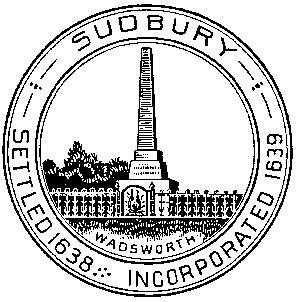 Sudbury is one of the older towns in the New England area, being incorporated in 1639, and it has one of the oldest and longest-running open meeting forms of government. It is located in eastern Massachusetts, bordered by Wayland on the east; Framingham on the south; Hudson, Maynard, Marlborough, and Stow on the west; Concord on the northeast; and Acton on the north. Sudbury is 20 miles west of Boston, 26 miles east of Worcester, and 194 miles from New York City.